BeenThere-DoneThat: The county of Glamorgan. 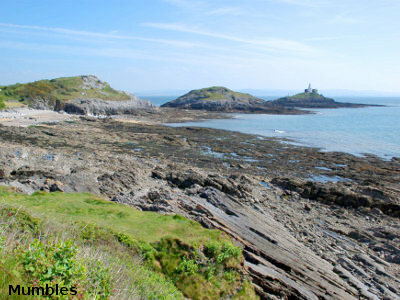 The Glamorgan Coast covers 88 miles including some breathtaking scenery. Its tidal range is the second highest in the world after the Bay of Fundy in Canada and this, along with the dramatic blue lias cliffs, creates stunning seascapes to rival any coastline in Britain! All of this combined with wooded valleys, spectacular wildlife and 2000 years of human habitation, makes this coastline truly unique. Whether you're looking for an easily accessible beach with family friendly facilities, somewhere for a short amble or challenging walk, activities to stimulate the children, or just wish to escape the crowds to a remote location, you will find the perfect place to visit along the Glamorgan Heritage Coast. Glamorgan is now mainly agricultural. There used to be a considerable amount of industry here, namely coal mining, but all the coal mines closed some time ago. Tourist Information Centres in Glamorgan - not available on-line. Public transport in Glamorgan - not available on-line.